JNTUH B.Tech/B.Pharm 1st Year (R13), 2-2 (R13) Compute Based Test (CBT) July 2015 , JNTUH CBT for 1st year R13,2-2 R13 Students july 2015. 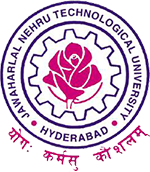 Jntu Hyderabad University Released the Time Tables For JNTUH B.Tech and B.Pharmacy 1st Year R13 and 2-2 R13 Students. those Two Dates are 2nd july and 3rd july 2015 and 4th july for b.tech and b.pharmacy.